Stephen McDannell Hillenburg was born on Aug. 21, 1961, at Fort Sill in Lawton, Okla., where his father, Kelly, was based. His mother, Nancy (Dufour) Hillenburg, taught visually impaired students. 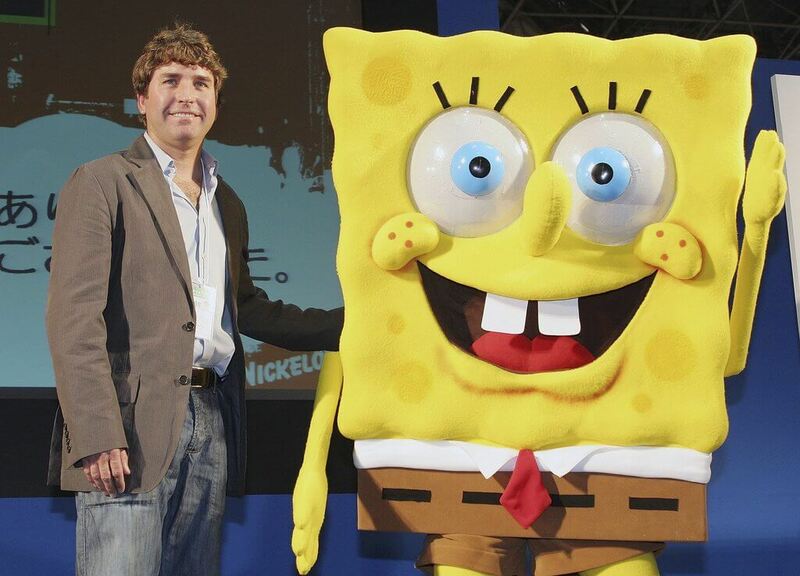 Creator of Nickelodeon's hit cartoon series SpongeBob SquarePants, Stephen Hillenburg, died Monday at the age of 57. The official cause of death is ALS, also known as Lou Gehrig's disease, a diagnosis he revealed in March 2017. The children's cable channel also paid tribute via a tweet: "We are sad to share the news of the passing of Stephen Hillenburg, the creator of SpongeBob SquarePants. Today, we are observing a moment of silence to honor his life and work." He graduated from Northern California's Humboldt State University in 1984 with a bachelor’s degree in natural resource planning and interpretation, with an emphasis on marine resources. He would become a marine biology teacher in Southern California and eventually blend his interests in marine life with his creative talents to write and illustrate stories and characters. At first, these were used as tools for the classroom. They would later morph into Bikini Bottom, the home of his famous SpongeBob and lead to a career in animation beginning in 1987. That same year he won an award for Best Animated Concept at the Ottawa International Animation Festival for his animated short Wormholes. This led him to pursue work in television as a director and writer on Nickelodeon’s series Rocko’s Modern Life and Rugrats starting in 1993 and then his work writing, producing and directing SpongeBob SquarePants. The hit cartoon premiered May 1999 and has aired an approximate 250 episodes in nearly 20 years on the air and was subtitled in over 60 languages. The series won multiple awards, including the U.S. and British Emmy Awards.